Before the campaign began, I was interested to see which celebrities would endorse political parties, but I speculated that celebrity involvement in the campaign would go beyond endorsements. It’s fair to say that nine days into the official campaign period, we’ve already seen things I never would have predicted. Who knew we’d have seen more of Joey Essex than we have of some party leaders, and that consequently John Humphreys would be taught the meaning of ‘reem’ on The Today Programme. Let’s take a brief look at the different ways celebrities have formed part of campaign coverage so far. On day one of the official campaign Labour got straight in with an impressive celebrity endorsement, uploading their party political broadcast ‘The Choice’, featuring Martin Freeman (and narrated by David Tennant). Freeman is, of course, the star of the multi-billion grossing Hobbit films and co-star of BBC series Sherlock, which has a huge, and hugely dedicated, fandom. LabourList claim that the video was watched online over a million times in two days, almost 13 times as many views as the Conservative PPB received. However, the key to a successful celebrity endorsement is perceived authenticity, which brings problems. The first thing I did after watching the PPB was type ‘Martin Freeman tax’ into Google. Sure enough, within an hour of the PPB being shared on Labour’s social media, the right-wing media backlash had begun. Guido Fawkes was the first to use old stories about Freeman’s partner and Sherlock co-star Amanda Abbington to discredit him. Abbington was declared bankrupt in 2013 after failing to pay a £120,000 tax bill. This, along with the couple’s wealth and their son’s private education, was used to paint Freeman as a champagne socialist who lacks credibility. Abbington only made this worse by voicing her support for Freeman on Twitter through sweary anti-Tory hashtags. Whilst she swiftly deleted her #FuckTheTories tweet, the criticism she received overshadowed her attempts to deny claims that she’s a tax dodger and explain that she had now paid all she owed. Fortunately for Freeman, he’s #NotOnTwitter. This story now appears to have died down, and Labour have continued to share the PPB on social media in spite of the allegations. Interestingly, most of the criticism of the broadcast I’ve heard has been based on the content, not on the delivery. Viewers on Channel 4’s Gogglebox repeated objections I’d already noticed to Freeman’s repeated use of the word ‘guarantee’ to set out Labour’s promises on the NHS. Ed Miliband has repeatedly said that he wants to be the first leader ‘to under-promise and over-deliver’ – he may need to add to this an avoidance of the word ‘guarantee’, as this seems to generate more suspicion than it does trust. Miliband might be better off using the emphasis Martin Freeman’s video placed on the differing values of the two main parties, at a time when many are struggling to spot the difference. Long-time Labour supporter Eddie Izzard’s assistance has taken a different form. As well as appearing at a party rally in Warrington, along with Ben Elton (who criticised Myleene Klass’ comments about the mansion tax) and Coronation Street’s Sally Lindsay, Izzard has been out campaigning alongside Labour candidates in marginal constituencies. So far he’s been out and about in Redditch, Halesowen, Runcorn and Swindon, and given this is the man who ran 43 marathons in 51 days, I don’t doubt he’ll be campaigning in as many marginal seats as possible over the next 29 days. By lending his support to individual candidates and their local campaigns as well as the national party, Izzard is taking a different approach. Local news coverage in the seats he’s been to so far has been positive; after years of touring he seems to have local knowledge wherever he goes. He also attracts attention on the campaign trail because of his intention to run for Mayor of London or become an MP in the future, which gives him an added sincerity (or at least, saves him from the cries of hypocrisy thrown at Russell Brand). Outside of endorsements, the most visible celebrity face of the campaign so far undoubtedly belongs to Joey Essex. I won’t say too much about him now, as I’m sure there’ll be much more to say after Educating Joey Essex: General Election, What Are You Saying?! is shown on ITV2. Joey’s been going around interviewing party leaders for this show. 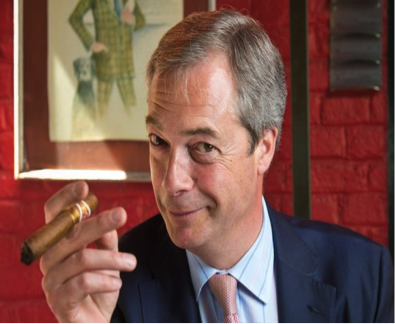 He’s already spoken to Nick Clegg and Ed Miliband, and he’s got David Cameron and Nigel Farage firmly in his sights. The Lib Dems certainly attracted more attention than they would otherwise when Essex came to their press conference and asked why they had a weird name. 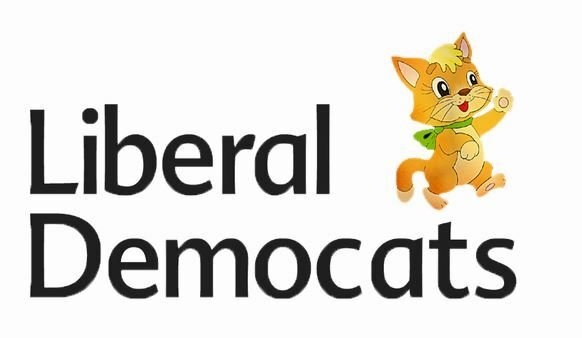 In honour of Joey’s attention grabbing mistake, the Lib Dem website briefly showed a new ‘Liberal Democats’ logo. Essex also appeared on BBC This Week following the 7-way leaders’ debate, battling with Molly the dog to be the most likable guest. 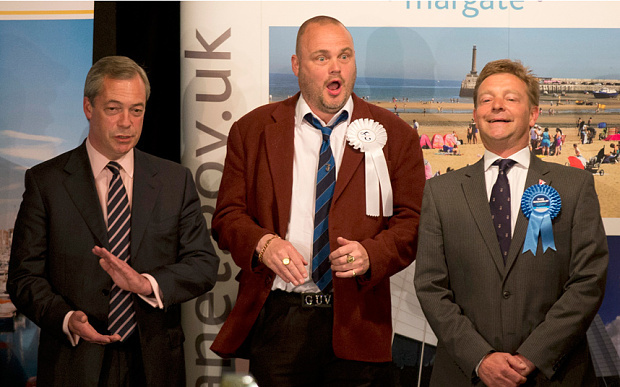 Party leaders’ willingness to talk to Essex, who famously didn’t know who the Prime Minister was, has attracted debate over whether this represents dumbing down, or potential for engagement. 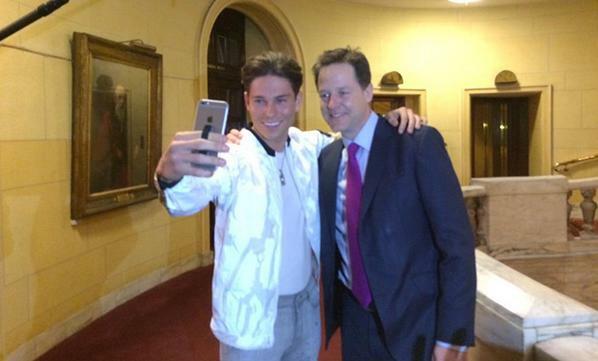 Should we be listening to Joey Essex at election time (or ever)? Owen Jones, who has also spoken to Essex for his upcoming ITV2 special, dismissed criticism of his involvement as ‘snotty’, and argued that he ‘could just try and reach people who only read The Guardian or watch Question Time. But I don’t want to do that – I want to reach people outside the political bubble, who are otherwise disengaged’. I’m looking forward to watching his election special to see what party leaders were willing to say to him; Nick Clegg was pretty frank with Essex about the fact that he’s not going to be the next Prime Minister. 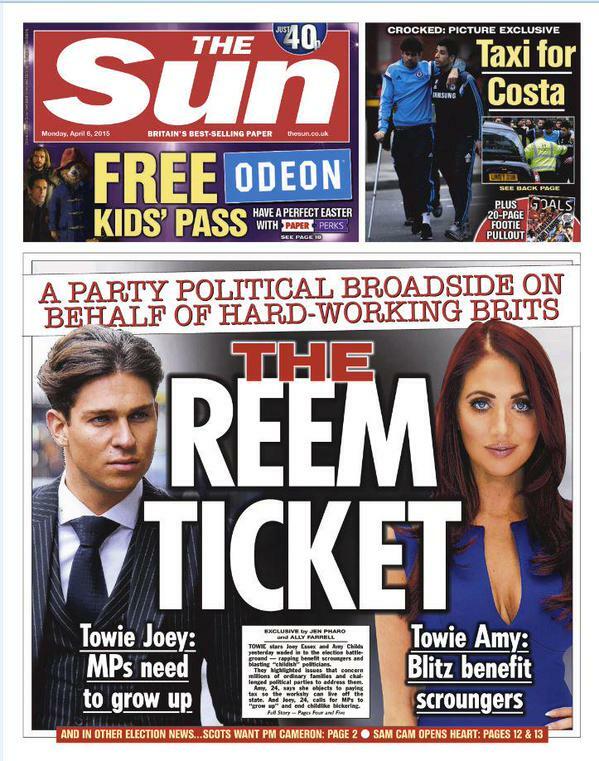 The Sun’s front page featuring Essex and former The Only Way is Essex co-star Amy Childs demonstrates that it is not only politicians who can use celebrities to push their agenda, media organisations can too. Essex’s comments to The Sun weren’t controversial; he just doesn’t like the ‘childish’ behaviour of MPs and wants them to stop shouting at each other. I can’t help but wonder if this is why Amy Childs was also called on to give her opinion, which was far more contentious and in line with The Sun’s viewpoint. Childs slammed Labour’s proposal of a mansion tax, and criticised her own aunt for having nine children and living on benefits. This is described by The Sun as ‘highlighting the concerns felt by millions of hard-working families’, and Brentwood MP Eric Pickles is quoted saying ‘Amy is completely correct when she says a tough stand must be taken against benefit cheats’. I’m sure we’ll be seeing much more of Joey Essex and Eddie Izzard, and I’ll be interested to see if Martin Freeman features any further in Labour’s campaign in spite of the criticism. 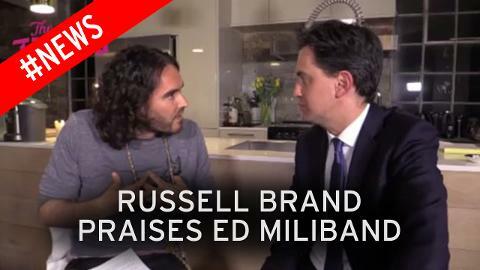 It will be interesting to see whether the Conservatives can bag a significant celebrity endorsement. David Cameron isn’t shying away from celebrity interviews (he graced the cover of Heat magazine last week), and Samantha Cameron is doing her bit, but so far all I’ve seen is Sol Campbell on the campaign trail, and he hasn’t been attracting much attention beyond Twitter. Finally, much as Eddie Izzard has been looking fierce in heels and Labour red lipstick, I’ll be looking out for whether the celebrity election continues to be a male-dominated game. Whilst Sally Lindsay supported Labour in Warrington, and Amy Childs, Myleene Klass and Cheryl F-V have had their mansion tax comments used to support or contest Labour party policy, attention has been almost entirely devoted to male celebrities on the campaign trail. And yes, thanks to Joey Essex, John Humphreys really did learn some new slang. Being interested in celebrity politics, I was excited to see another book about politics penned by a celebrity. Rick Edwards believes everybody should vote and that those who don’t are not lazy but, particularly in the case of young people, lacking the information they need to feel confident enough to make a choice. Several people have asked me who Rick Edwards is, but none of these have been under 30 and British. He’s a familiar face to the T4 generation. 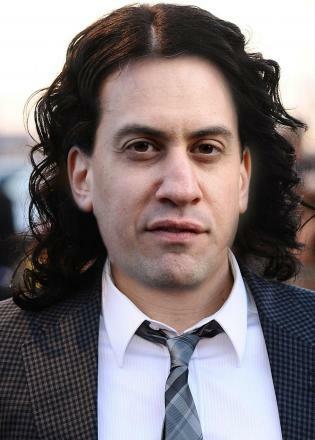 Edwards is a TV presenter in his mid-thirties with a science degree from Cambridge. His decision to write a book aimed at young people about British politics and the upcoming election is not as random as it may seem. 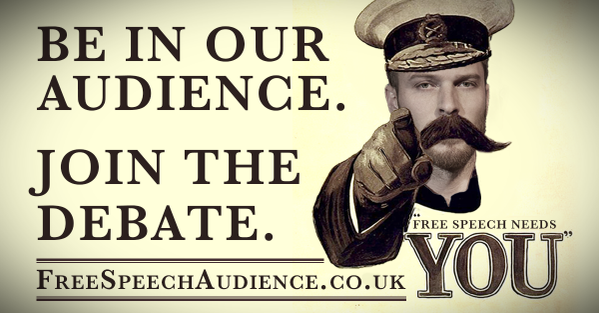 Whilst he is best known for fronting E4’s Tool Academy (Google with caution) he currently presents BBC3’s Free Speech, where an audience aged 16-34 discuss political issues and put questions to politicians. The most recent episode saw Ed Miliband in the hot seat, as part of a series to help viewers decide how to vote, and he did pretty well. Edwards was inspired to write None of the above by the questions he’s been asked whilst presenting Free Speech. In the introduction, he describes being told by teenagers that they didn’t feel that they knew enough about politics, parties or the issues to be able to vote, and being asked where they could get information. He couldn’t answer. The aim of the book is to encourage a ‘massive turnout’ in May, as Edwards believes that ‘the strength of our democracy is hugely improved when everyone has their say in choosing the government’. 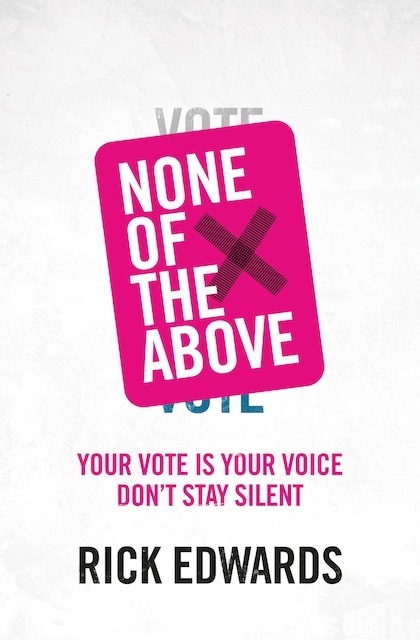 The book’s title refers to Edwards’ belief that there should be a ‘none of the above’ box on ballot papers. Until this happens, he suggests that those who wish to make their voice heard but cannot support any of the candidates on offer spoil their ballots. Naturally, the title has led to misrepresentation, with Vice going with the headline ‘TV Presenter Rick Edwards Wants You to Vote for ‘None of the Above’ at the UK General Election’. That’s not the case. He merely wants us to vote, and to have the option to vote for ‘none of the above’ if we want. Edwards probably knew his intentions would be questioned, as in his chapter on celebrity involvement in politics he describes how Russell Brand’s comments on voting have been misrepresented. Rather than going down the tabloid Brand-bashing route, Edwards argues that whilst he disagrees with Brand on voting he thinks that he has encouraged political debate and, through his involvement in the New Era Estate campaign, demonstrated that political engagement goes beyond voting. Edwards has certainly achieved his aim to provide information. Each chapter details the key debates and party positions over a policy area, such as the NHS, devolution, and inequality. There are also chapters on social media and politics, political leadership, and alternative voting systems and forms of democracy. Edwards does a good job of describing complex issues in a way that is detailed but also accessible; there is a large glossary at the back describing everything from abstention to zero-hour contracts. Alongside this policy detail, Edwards encourages readers to consider their broader beliefs about democracy and the role of the government, and parties to talk more about their ideological differences. Of course, one of the flaws of the book is that election manifestos have not yet been launched, and so cannot be included. But Edwards does a good job nonetheless of sketching out the similarities and differences (which do, he convincingly argues, exist) between the parties on a broad range of important issues. At the end of each chapter, he urges people to vote if they cares about these issues and, if he’s succeeded, hopefully readers will want to read the manifestos and have a better understanding of the issues (and jargon) they contain. This was a difficult task. Writing a book about voting without encouraging people to vote for a specific party. Writing a book that encourages voting without giving the impression that the electoral system doesn’t need to change. The limited personal opinion is unusual for a book written by a celebrity, though Edwards doesn’t always keep his views to himself. 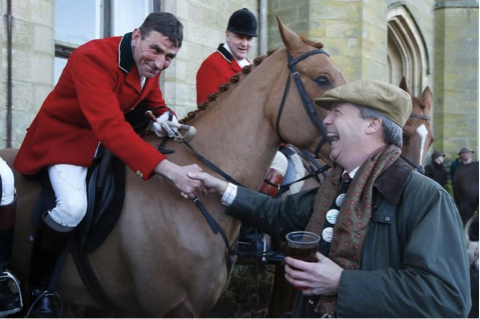 His refusal to engage with climate change deniers makes it unlikely he’s a secret UKIP supporter. At times, to a cynic like me, his belief in the power of voting feels a little over-stretched. The argument that if we all vote we’ll get who we want in parliament, as if there would no longer be wasted votes, is a little optimistic. But Edwards does do a good job of both encouraging people to vote whilst also advocating reform of the political system which would give more power to the people. In addition to the none of the above option, he discusses alternative electoral systems, open primaries, and reform of party funding. His concern about low turnout amongst young people is genuine, and his argument that this allows government to ignore young people’s issues convincing. Ultimately, it will be interesting to see whether a book that talks about political issues and democracy in Britain sells. Anyone else who’s been ‘the friend who knows about politics’ who gets inundated with questions at election time knows that there is a call for it. I doubt Rick Edwards will get his wish for a ‘none of the above’ box on the ballot paper any time soon, but in the meantime maybe he can persuade some people that their vote matters. Rick Edwards (2015), None Of The Above. Kindle location 87.